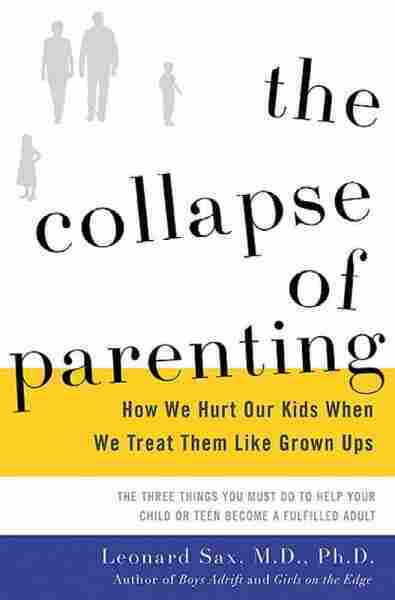 To Rebuild 'The Collapse Of Parenting,' It's Going To Be A Challenge Parents struggle with the balance of being a friend versus being a taskmaster. Their job, says Dr. Leonard Sax, is to "keep your child safe" and "give kids choices in some domains but not in others." So many parents think it is their job to be their child's best friend. That's not your job. Your job is to keep your child safe, make sure they get a good night's sleep and give them a grounding and confidence and help them to know who they are as human beings. A previous Web version of this story said that Dr. Leonard Sax's book was grounded in 4,000 studies. In fact, it was 400 studies.